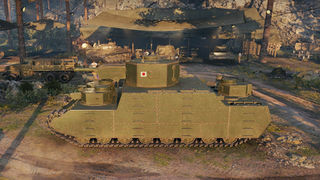 The O-I is a Japanese tier 6 heavy tank. Also known as Derp Demon or Emperor of Derp. The O-I were basically KV-2 on steroids. 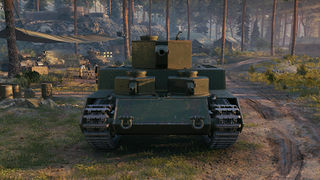 Not only carrying the most powerful gun of its tier, the O-I also sporting some of the toughest protection in tier 6, it can withstand even higher tiers with its thick armor. 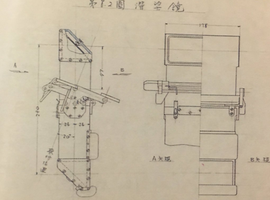 it had two gun choices; a powerful 10cm AP gun with high penetration, and a trademark 15cm "derp gun" with insane alpha damage. 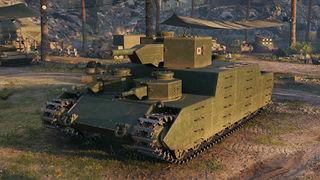 However, like every Japanese heavy tank after tier 4, it is huge and massive (even larger than most of tier 10s) as well as quite slow, and will usually become the primary target of SPGs and flankers. The O-I leads to the O-Ni. 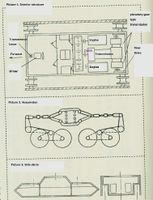 - Choice of two guns´: 10cm gun and 15cm gun, both of which have ridiculously high ammunition stock. - Moderately easy stock grind since the 10cm gun deals a large amount of damage and has great penetration. - Excellent view range, especially for a heavy. - Capable of oneshotting most tanks in its tier, like the KV-2, even with AP. 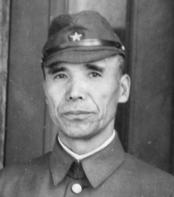 - Shared most of modules with other later Japanese superheavies. You can grind and research the radio and engine for the next tank. - Both guns, especially the howitzer, are innaccurate, have long aim time and poor gun handling. - While surprisingly accurate at long range, ironically the howitzer has an infuriating tendency to miss at point blank range, often with fatal results. - Inner side armor is only 30mm thick and possible to hit and overmatch from hole above tracks. - Will still have to rely on HE in most cases against tier 8s and even some tier 7s. The O-I takes not that much of an armor increase; 30 mm rear/rear turret, and 25 for front/frontal turret, but goes a little bit faster than the O-I Exp, but accelerates slower as well. In terms of firepower, the O-I has it in spades. Stock, the tank comes with an excellent 10cm gun capable of going through any tank you might have to face while dealing respectable damage with decent accuracy, but a rather long aim time. 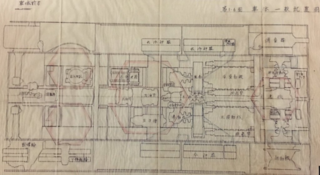 There is a second gun for the O-I and it is a 15cm devastating alpha howitzer, similar to that mounted on the KV-2, with a slightly slower rate of fire, lower accuracy and a horrid aim time. However, this gun can be a lot of fun to play, especially when striking lightly armoured foes which is common at tier 6. Game play with the 10cm gun allows you to engage targets at a longer range and good penetration. It also allows you to play a more supportive role by sniping when you are bottom tier. With this gun, it allows an O-I to laugh at opposing heavy tank's armour, while you effortlessly bounce incoming fire. With the 10cm gun, it also allows you to more reliably handle opposing O-Is. However, 10cm is more ineffective against higher tier heavies aswell as loses its feared ability to oneshot tanks. Be wary that while the gun reloads faster than howitzer, it still has very low DPM and poor accuracy which means that O-I wont deal damage very quickly. With the 15cm derp cannon, your play style will have to change radically to make up for the shortcomings of the gun's long aim time and poor accuracy. This means that getting up close and personal in any brawl will allow you to negate your gun's main problems and ensure every shell hits. Having knowledge of what might appear in front of your tank is crucial as well, to make sure the correct shell is loaded. The AP shell in the 15cm gun is better than that in the KV-2, with improved penetration. 121mm may not seem like much, but at tier 6, it is sufficient to go through many tanks frontally. In exchange for the better AP shells, the HE shells do not penetrate as much armour, as compared to the ones on the KV-2. However, thin-skinned targets will be wrecked easily by it. When you are bottom tier, the large caliber HE shell will allow you to do damage in all situations, as long as the shell hits your target. In conclusion, the O-I is ridiculously powerful for a tier 6 vehicle. It has a flexible choice of guns for different play styles. The O-I has also seen increased use in tier 6 strongholds due to it's armour and derp gun. It should be noted that the gun depression is a lie - it is only -10 degrees in the very front in between the two turrets, and is between 4 degrees and 6 degrees everywhere else. If you're already researched radio and engine from O-I exp, mount them. Tracks are not necessary for 15cm as its actually lighter than 10cm, so go for it next. Alternatively, using the 10cm gun on this tank gives it reliable damage and penetration to targets up to tier 8. If you haven't researched engine yet, go for it now. Tracks are not necessary, but they help with traverse speed so researching them is optional, but if you want to elite or keep O-I then research them. The O-I was conceived out of the necessity to produce an armored vehicle capable of withstanding modern weaponry being able to return fire with similar firepower. The O-I was designed to act as a mobile pillbox, supporting infantry and mechanized groups along the border of the Soviet Union. 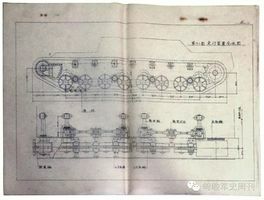 The tank had a length of 10.1 meters, width of 4.8 meters, and a height of 3.6 meters. The dimensions of the vehicle closely matched those of the Panzer VIII Maus. 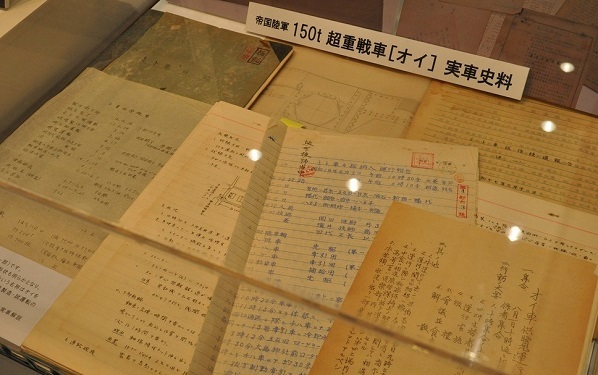 The tank was envisioned to have a standard thickness of 150 millimeters front and rear, in order to protect against common anti-tank weapons of the time, yet it was constructed with armor 75 millimeters thick. However, an additional armor plate could be bolted on to bring the total thickness of the armor to 150 millimeters. 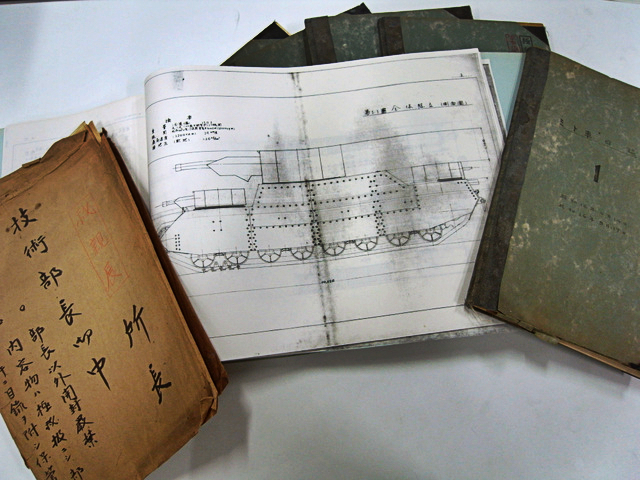 The use of additional armor allowed for ease of construction and transportation, while also providing the tank with additional defense. 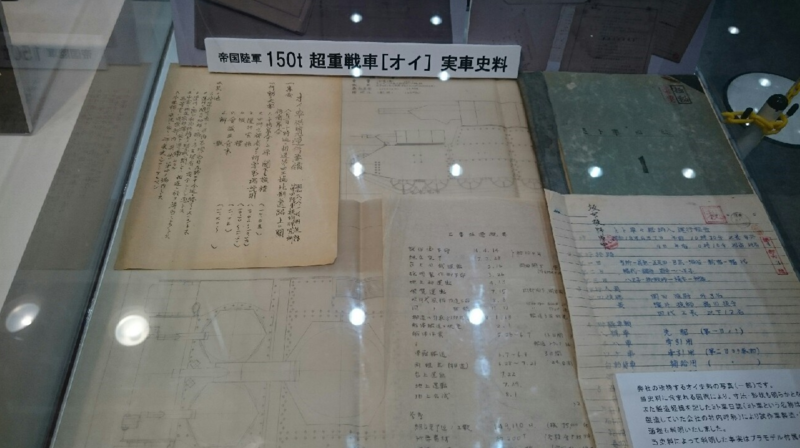 Side armor on the hull superstructure was 70 millimeters thick. 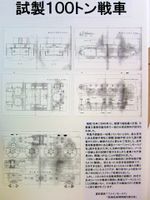 The additional armor plates were 35 millimeters thick, but armor surrounding the suspension was only 35 millimeters thick. This made the tank’s theoretical armor on the side 75 millimeters. 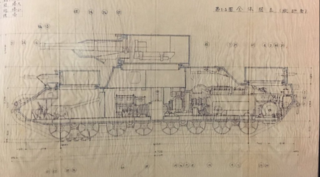 There were eight wheel-supporting beams located on both sides of the suspension area which added an additional 40 millimeters of armor to specific locations on the side of the O-I. 40 ladder pieces were placed around the tank to provide crew with the ability to climb onto of the vehicle with ease. The 150 ton O-I was never supposed to mount the 10cm gun. This page was last modified on 24 December 2018, at 22:30.